There are more than 70 recognized sleep disorders that can plague people's nightly slumber. Many of these sleep disorders are caused by physiological problems, neurological disorders, medical problems, psychiatric troubles, environmental factors, and even disruptions to one's biological clock. Unlike these other disorders, Insufficient sleep syndrome (commonly referred to as sleep restriction, sleep deprivation, and inadequate sleep) is a behavioral induced sleep disorder in which the sufferer simply fails to make adequate time for sufficient sleep. 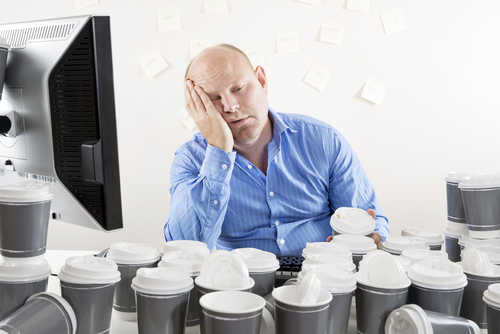 What is Insufficient Sleep Syndrome? While insufficient sleep syndrome is a voluntary sleep disorder, it is also an unintentional one. Many of the sufferers simply fail to recognize that their symptoms of sleep deprivation are caused by their own actions, and not precipitated by other factors or other sleep disorders. People today are sleeping 25% less than our ancestors did just a century ago. There is no evidence to suggest that our generation requires less sleep than they did, nor any indication that they required more sleep. The simple fact is that life is much busier today than it was at the turn of the 20th century. Between work, school, after-school activities, at home commitments, sports, socializing, child-rearing, and entertainment, people are busier than ever, and an unfortunate fact is that there simply is not enough time in the day to get everything done. What ends up happening is that people begin to sacrifice sleep in order to accomplish other goals and tasks they have setup for themselves. And while a few hours of sleep being sacrificed each week (or night) doesn't seem like a big loss, it can quickly descend into a debilitating sleep disorder. Insufficient sleep is listed in the International Classification of Sleep Disorders third edition (ICSD-3) under the category of Central Disorders of Hypersomnolence along with other sleep disorders such as narcolepsy, idiopathic hypersomnia, and Kleine-Levin Syndrome. These group of sleep disorders are characterized as "primary complaint is daytime sleepiness not caused by disturbed nocturnal sleep or misaligned circadian rhythms." Usually found in young adults to middle age (25 to 35) with likelyhood decreasing with age. Slightly more prevalent in women than in men. More likely in night shift workers and those working more than 40 hours per week. Approximately 2% of all patients who contact sleep clinics end up being diagnosed with insufficient sleep. Most of these patients believe that their sleep troubles are a sign of an uncontrollable sleep disorder, and don't realize the fault is in their own behaviors. However, it is still a good idea to have a sleep study performed as it can help rule out other sleep disorders that may be causing symptoms of sleep insomnia. With other sleep disorders eliminated as as source for the patient's excessive daytime sleepiness, sleep specialists can more accurately diagnose and treat insufficient sleep syndrome. Once other sleep disorders are ruled out, treatment is generally very simple: patients need to make more of a conscious effort to get more sleep. Other sleep treatments include practicing sleep hygiene to maximize sleep quality. Sleep hygiene is a set of practices and habits that help patients achieve quality sleep. It includes creating a sleep friendly environment, eating foods that promote sleep and avoiding foods and drinks that disrupt sleep, tips for relaxing before bedtime, and much more. Patients who are chronically tired are more likely to have accidents at work or while driving, decreased performance at work, decreased performance in sports and acivities, cognitive troubles, disrupted sociability, obesity, and diabetes. If you are an Alaskan suffering from poor sleep quality and would like a sleep professional to determine if sleep disorders are the cause of your troubles, contact The Alaska Sleep Clinic for a free-10 minute phone consultation with one of our sleep educators. In this free phone call we will help determine if a sleep study may be required for further diagnosis or if you simply need to make sleep more of a priority. Don't lose another night of sleep, contact us today.